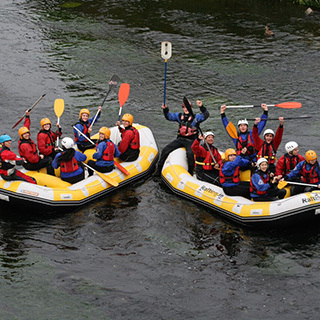 Set up in 2009 by a group of rafting experts and enthusiasts, Rafting.ie sets out to give you a day to remember as you discover the amazing river Liffey. The River Liffey is a treasure trove. 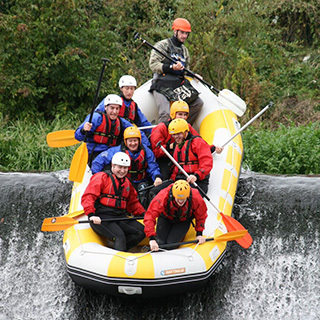 Upstream from Dublin’s city centre, in its wilder environment, it is unique and wonderful, life giving and life enhancing. To discover it is to be gladdened by it. In fact, words don’t do it justice, you simply have to see and experience it with your own eyes and ears. Trips take place daily. Booking must be made 48 hours in advance to ensure availability. 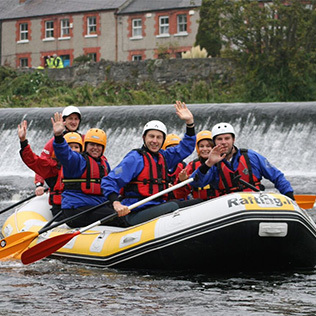 How it Works: Use this gift voucher on AllGifts.ie to make a booking with Rafting.ie. Or you can swap this voucher for any other gift or voucher listed on AllGifts.ie. Simply follow the instructions at the bottom of your voucher.